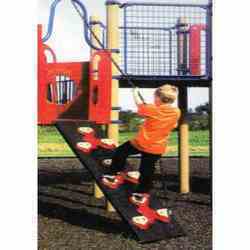 Prominent & Leading Manufacturer from Mumbai, we offer kids climbers and cliff climbers. 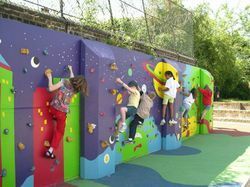 To keep our goodwill in clients' consideration, we manufacture, trade, export and supply a different range of Kids Climbers. The offered pod climber is widely used for adventurous trips. This pod climber is designed from the quality assured material and cutting edge technology. This given pod climber is provided with different customization options on customer’s demand. Our patrons can take this pod climber from us at nominal rates. With the backing of our skilled professionals, we are occupied in offering a qualitative series of Cliff Climbers. The offered range make you easily climb on the cliff while doing adventurous fun. This cliff climber is made with diverse specifications & quality assured material. The offered cliff climber examined by our quality expert’s team in order to make certain its quality. Apart from this, we are giving this cliff climber to our customers at affordable price.